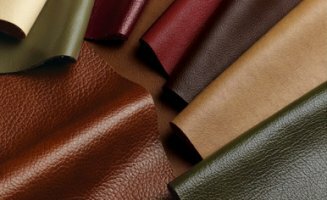 120.00 XE Tech Pvt Ltd.
Leather is a durable and flexible material used to make different products such as clothing (e.g. shoes, hats, skirts, trousers), accessories (e.g. wallets, belts, bags) bookbinding, furniture covering etc. If you like leather products, Export Portal is your ultimate destination. On our website you can purchase natural and artificial leather articles of various types, styles and decorations. Sell all kinds of leather fabric and other textiles on Export Portal: full-grain, top-grain, corrected-grain, split, artificial leather. Expand your market worldwide and find more customers! Browse through items made of lamb and deer skin, elkskin, pigskin, buffalo, goats, alligators, snakes, oxen, yaks and kangaroo leather. Also, find a multitude of faux leather types: pleather, poromeric imitation leather, koskin, leatherette and vegetable - based leather. Sell leather clothing (jackets, coats, vests, gloves), accessories (wallets, phone cases, bags, purses, book and journal covers, briefcases, laptop bags), leather home accessories (rugs, furniture coverings, wall hangings, coasters) on Export Portal. Buy leather goods from the major leather producing countries such as China, Italy, Russia, Korea, India, Brazil, Argentina, Turkey, Mexico. Sell and buy leather and leather products on Export Portal - your number one friend in online trade!